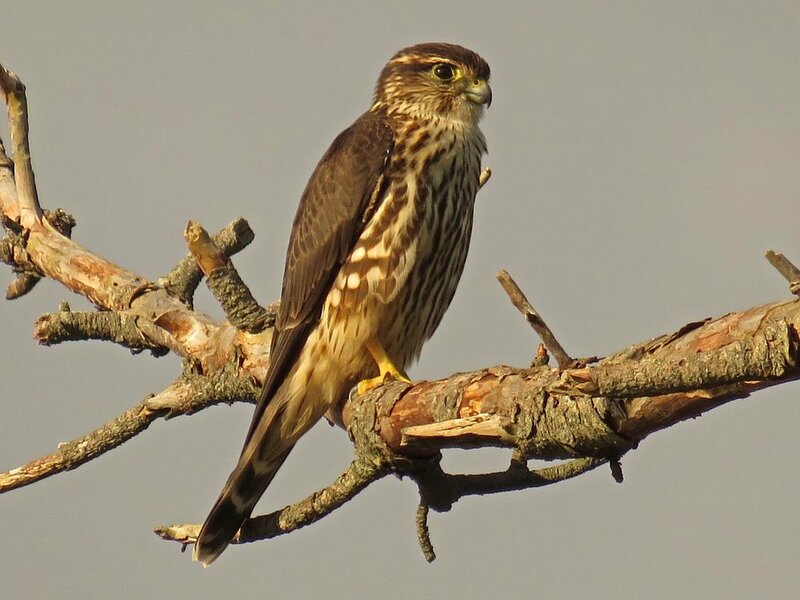 During the Middle Ages, merlins (Falco columbarius) were called "lady hawks," and noblewomen used them to hunt sky larks. 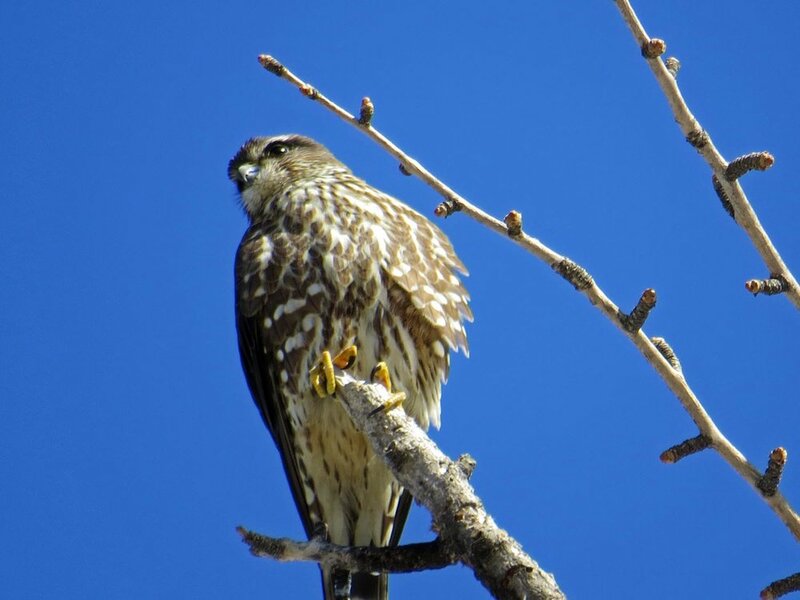 These little falcons are small and fast. 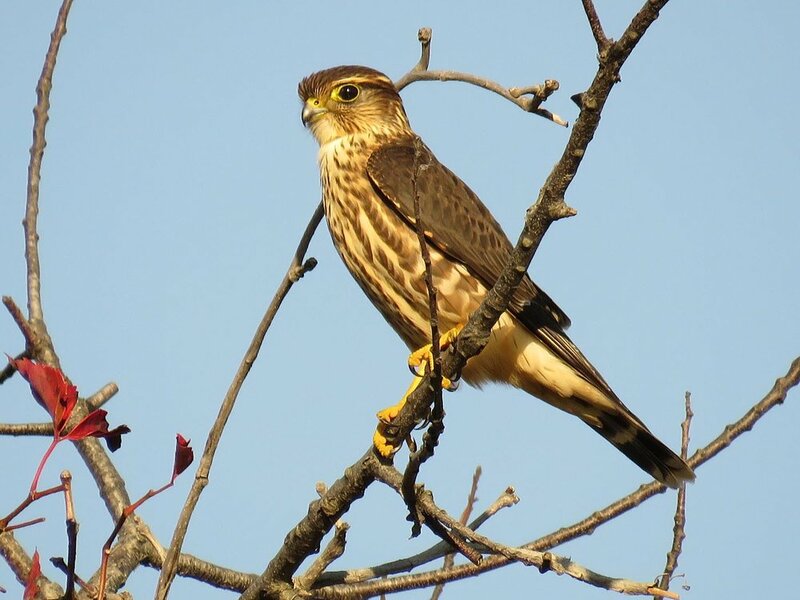 I have filmed them in Central Park (2015), Jamaica Bay Wildlife Refuge in Queens and at Wolfe's Pond on Staten Island (2017). 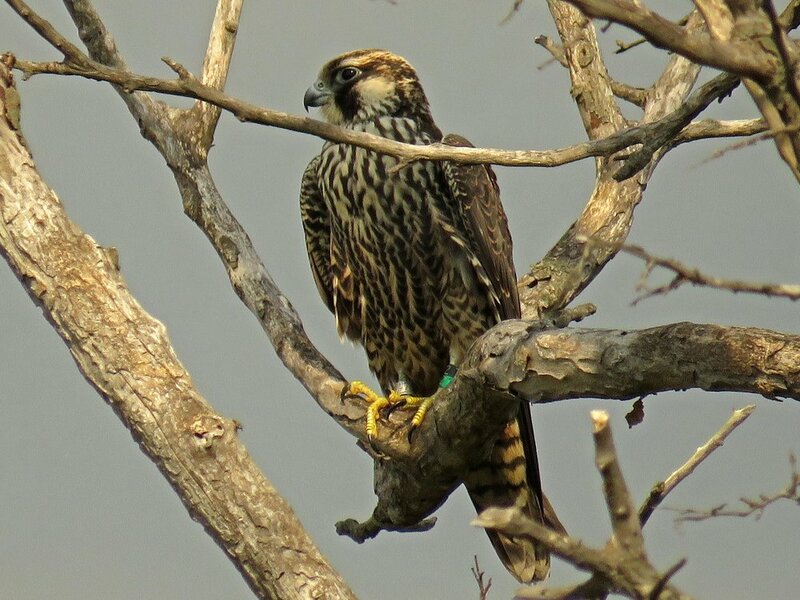 They patrol shorelines to catch small birds and sometimes dragonflies. I haven't seen them eating or catching food, though. 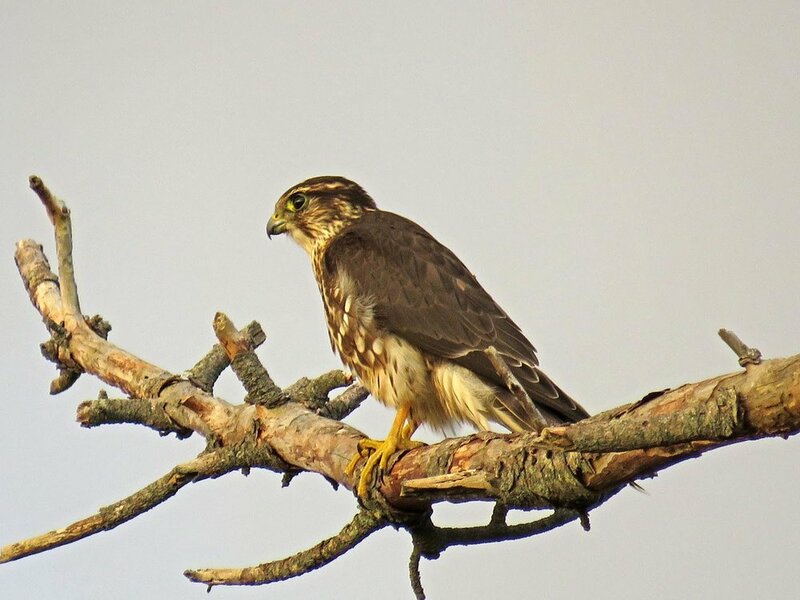 Most of my sightings have been of perched birds, and a couple of times of flying merlins. 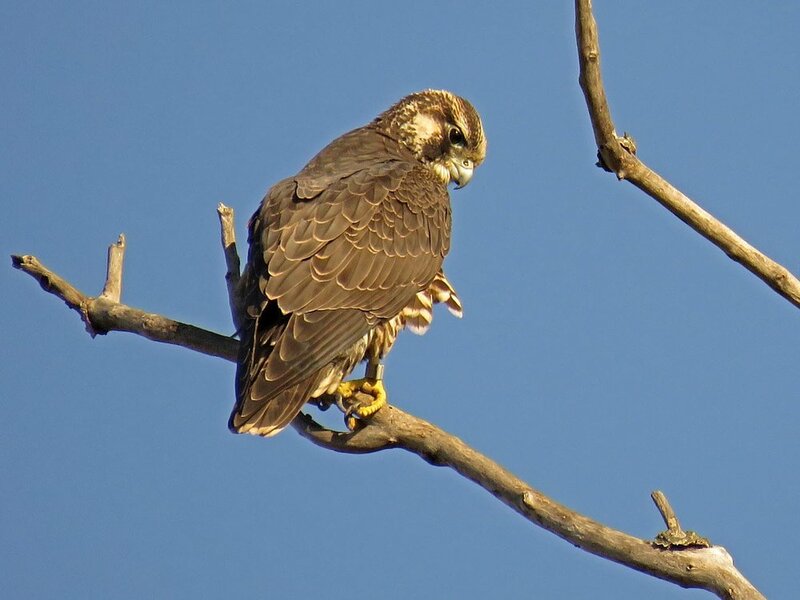 The Filming the Feathers video was shot in Central Park on March 9, 2015, at Jamaica Bay Wildlife Refuge on Aug. 16, Sept. 23, Sept. 27 and Oct. 3, 2017, and at Wolfe's Pond in Staten Island on Sept. 29, 2017. 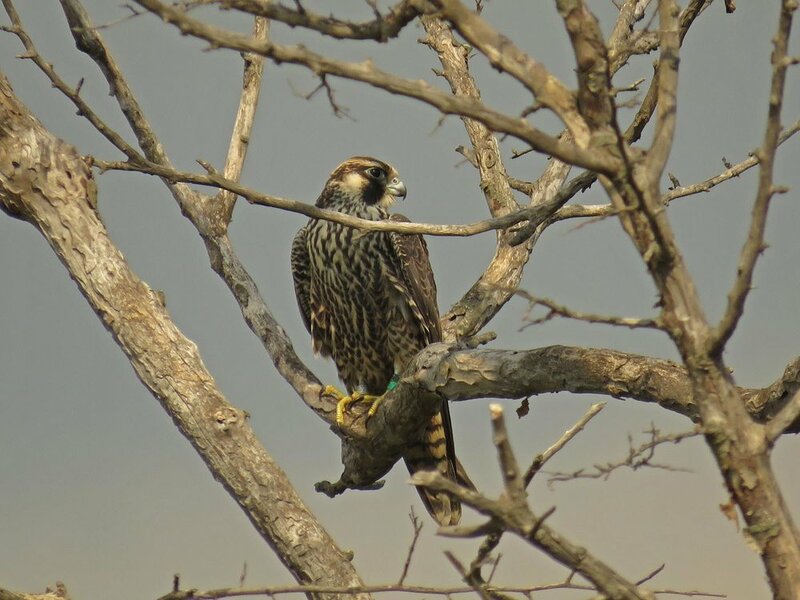 The video includes banded merlins, on Aug. 16 and Oct. 3. 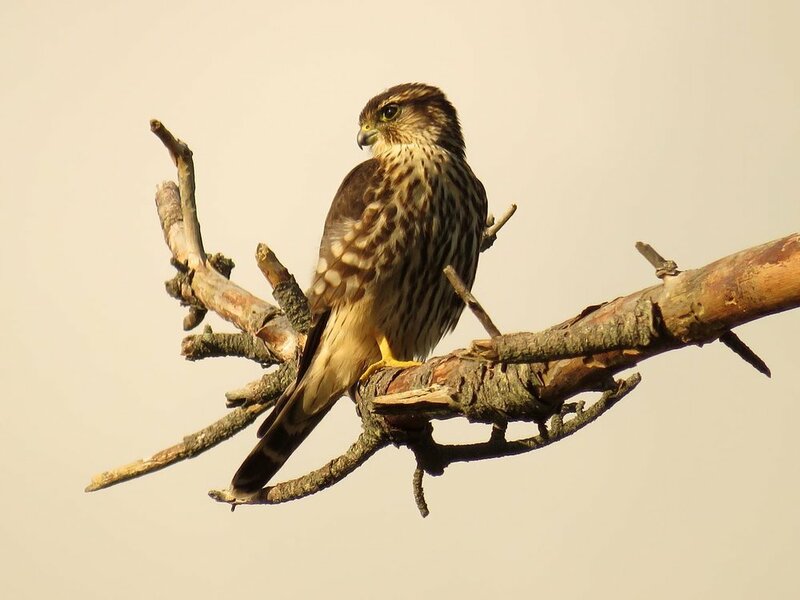 You can see the banded merlins in these two shots. These photos were taken in Central Park, Jamaica Bay Wildlife Refuge and Wolfe's Pond on March 9, 2015, Aug. 16, 2017, Sept. 23, 27 and 29, 2017, and Oct. 3, 2017.